Smores soap looks and smells just like the real thing, but don't eat it! Smores dessert soap is scented with graham cracker, chocolate and marshmallow. 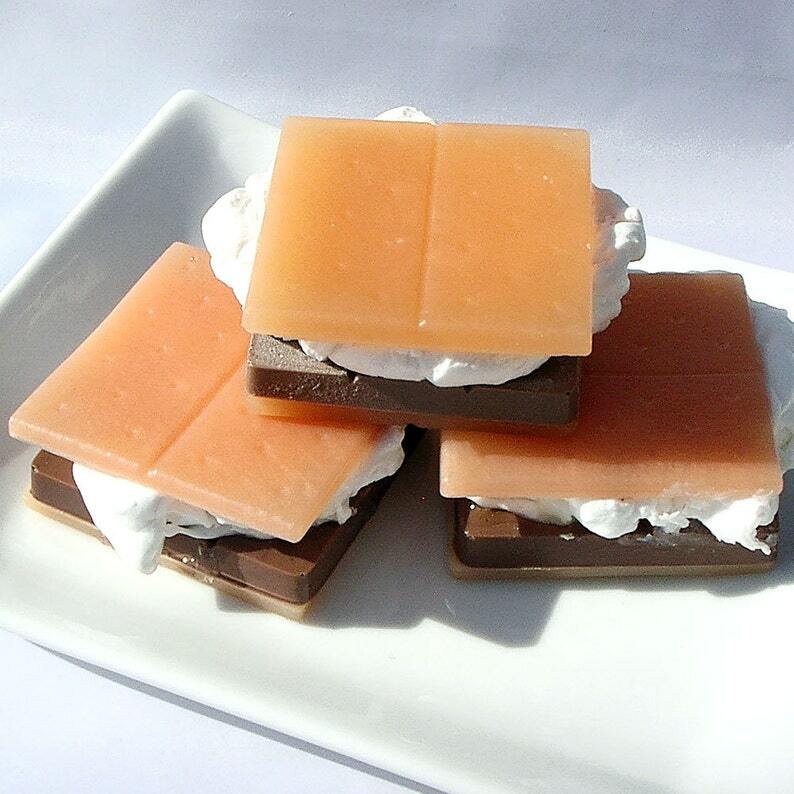 Smores soap makes a great soap gift, camping favor, party favor, or holiday stocking stuffer. Includes favor tags if requested - see last picture. This listing is for one Smores soap. Smores soap is approximately 2.5 inches across. Smores soap weighs approximately 3.5 ounces. Smores soap is packaged with tag and ingredient list. Smores are hand assembled. Each one is unique! There will be slight differences in batches.